Summary : For as long as she can remember, Jin Ji Ni (Lee Na Young) has been running for her life as the anonymous and seemingly omnipresent Melchidech tracks her down. When she decides that she needs to attack rather than run away, she seeks the help of Private Investigator Ji Woo (Bi), a man who will solve any case as long as he receives the right sum of money. 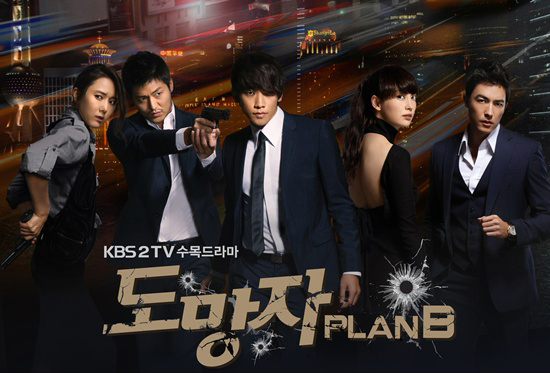 Ji Woo has been framed for the murder of his best friend Kevin and as the search for Melchidech sends Ji Ni and Ji Woo across Asia, the Korean Police officers Do Soo (Lee Jung Jin) and Yoon So Ran (Yoon Jin Seo) follow suit. Knowing that Ji Woo may use Ji Ni as bait in order to find Melchidech, her boyfriend Kai (Daniel Henney) also follows, demanding that Ji Ni allow him to accompany her at all times. However, when Ji Ni learns more about the reason for being wanted by Melchidech, she decides to stay alongside Ji Woo to unravel the mystery while learning who her true protector is. all links are dead, please fix. thanks for consideration!